The DSC WS4920 is a wireless repeater for 433 MHz sensors. The sensor will send its signal to the repeater. The repeater will then send this signal out a second time to essentially double the range of the sensor. The repeater will provide support for up to 164 devices. Buy the WS4920 here. The DSC WS4920 is a wireless repeater for 433 MHz sensors. The device takes the signal sent out from a 433 MHz sensor and sends it out a second time. This will essentially double the sensor's range. Up to 164 different wireless devices can be supported by a single WS4290 repeater. The purpose of the DSC WS4920 is to extend the range of wireless devices. Each wireless sensor sends out signals at a certain frequency to communicate with a security system. But unfortunately, this signal range is limited. It can also be reduced due to obstacles and the presence of large metal objects in the area. But with a wireless repeater, these problems and limitations can potentially be overcome. The DSC WS4920 is specifically designed for legacy DSC 433 MHz Sensors. Some of these systems that support these sensors include the DSC Impassa and many of the older DSC PowerSeries Panels. A total of four different WS4920 devices can be programmed with a single alarm system, though any given sensor can only have its signal repeated on one occasion. In other words, you can't use two repeaters to further extend the range of a 433 MHz Sensor. Other features of the WS4290 include a tamper switch to alert the system if someone tries to disable the device. The device will also alert the system whenever the backup battery is low and in need or replacing. The backup battery can keep the device powered on for up to 24 hours during an outage. 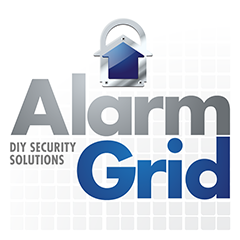 Can I Use More Than One Repeater on a Wireless Alarm System?